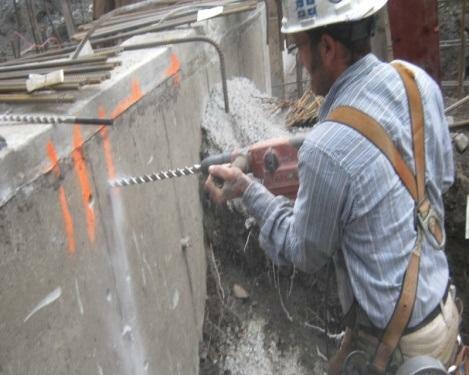 A rebar, or reinforcing bar, is a steel bar used to reinforce reinforced concrete or masonry. It is made of carbon steel and has a ribbed surface to improve its adhesion to the concrete. 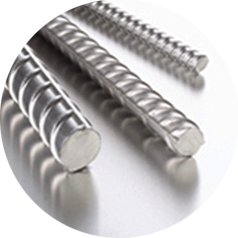 The W grades are used when special use of weldable and ductility bars is required. The shade numbers represent the minimum elastic limit in MPa (megapascals). Reinforced concrete is a composite material made of concrete and steel bars that combines the compressive strength of concrete with the steel tensile strength. The Canadian framework is manufactured for Canadian mills specially recommended by the Ministère des Transports. The drilling service contains high-performance components including specialized drills, crowns of varying sizes to drill to the required depth, and high quality epoxy infusion. To avoid cracking of the latter.